I’m starting in on a series of NIST courses. I may be doing more assessments in this area and need to brush up on some of the details. I had no idea there was a difference with DVI cables in that the reason some have 4 pins and a spade pin on the end, and others only have the spade pin, is because the 4 pin cable is adaptable to VGA while the other cable is DVI only. Been doing IT both F/T and running my own PC repair business for over 17 years. 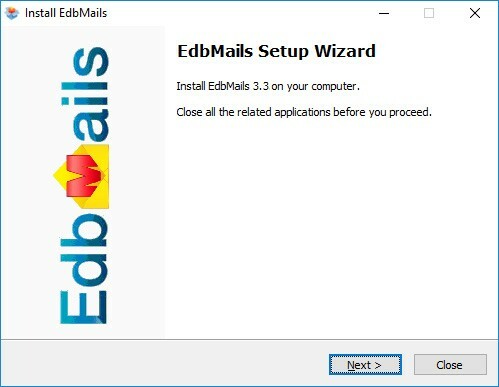 EdbMails EDB to PST Converter tool is an efficient Tool to repair corruption in Microsoft Exchange server database by converting all the data contained within them as Outlook PST files. * Simple and efficient EDB to PST Conversion. *Exports Recovered mailboxes to Live Exchange Server or Office 365 as per requirement. *Allows selective recovery of mailbox items. EdbMails EDB to PST has an interface that’s easier to navigate . The software repairs damaged Exchange databases and recovers very last bit of data from all user mailboxes effectively. This mailboxes recovered are saved in individual PST files that can be split to sizes of upto 20GB. 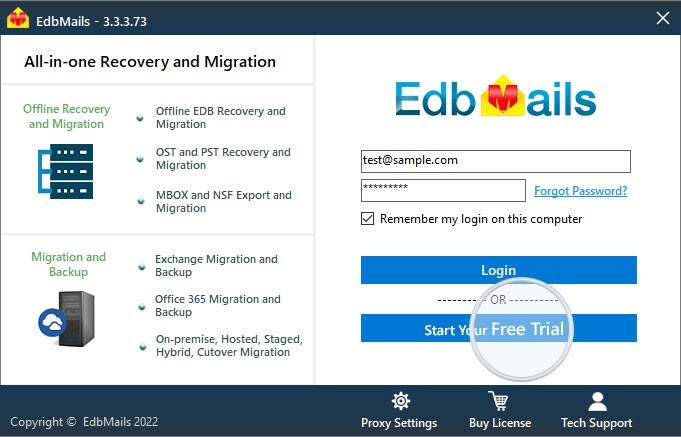 What makes EdbMails the most secure and reliable utility is the fact that it doesn’t alter the contents of database under recovery in anyway.There can be a variety of reasons for EDB file corruption such as – hardware failure, human negligence, malicious scripts, improper shutdown, JET errors, log file related issues etc. Thanks to its deep scanning algorithms EdbMails has the capability to fix all the errors in an amicable fashion. 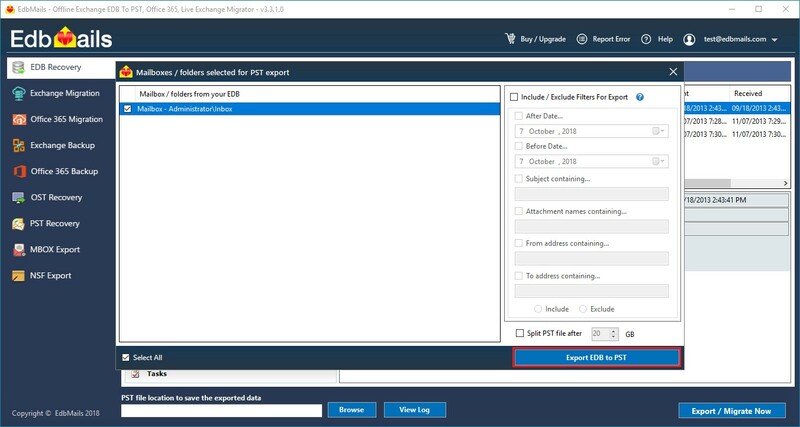 It lets you preview all the EDB data and even mail contents in the application main window.The desired PST location can be selected from within the application window itself before export. Conversion of individual mail items to formats like MSG, EML, HTML, RTF is also supported. 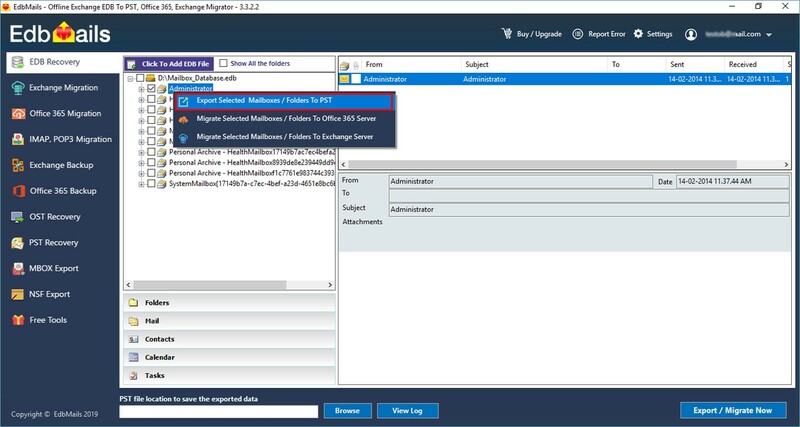 There is also support for direct migration to Live exchange server and Office 365. There are extensive include/exclude filtering options to filter by subject, attachments, from/to address and date/time to make use of. Exchange server log files are not required for recovery operation using EdbMails. EdbMails supports Exchange server versions 2016 / 2013 / 2010 / 2007 / 2003. This reply was modified 7 months ago by recoveredb. * Supports MS Exchange 2016, 2013, 2010, 2007, 2003. – Corrupt EDB files are recovered and converted to Outlook PST quickly and securely. – Direct Migration to Live exchange server and Office 365. – Extensive include/exclude filtering options to filter by subject, attachments, from/to address and date/time. 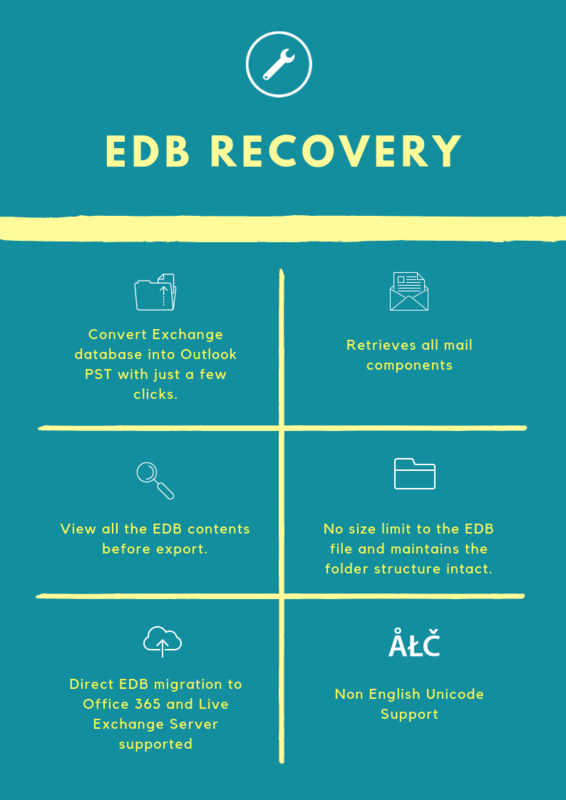 No matter what the EDB size is, EdbMails can repair any extremely corrupt or damaged Exchange database file (EDB) and restore the totally inaccessible mailboxes into usable PST file. 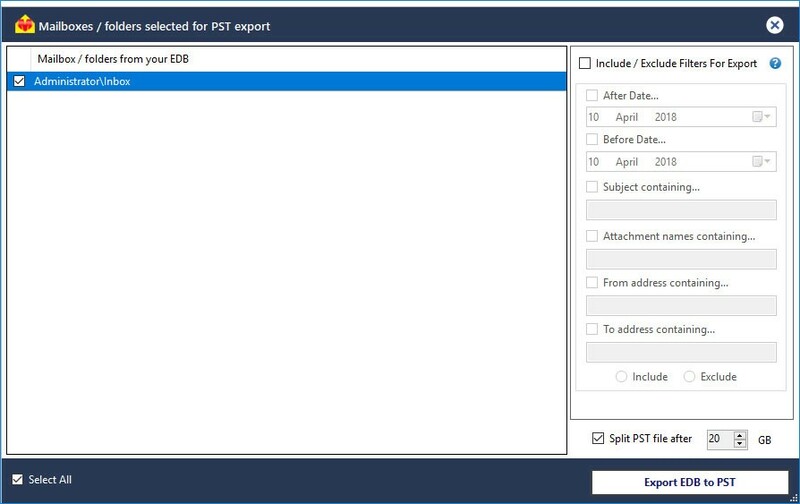 Thereafter you can import the PST files to your Outlook client. With the assistance of EdbMails’s deep scanning algorithms, one can rest assured that even deleted mailboxes can be easily recovered. 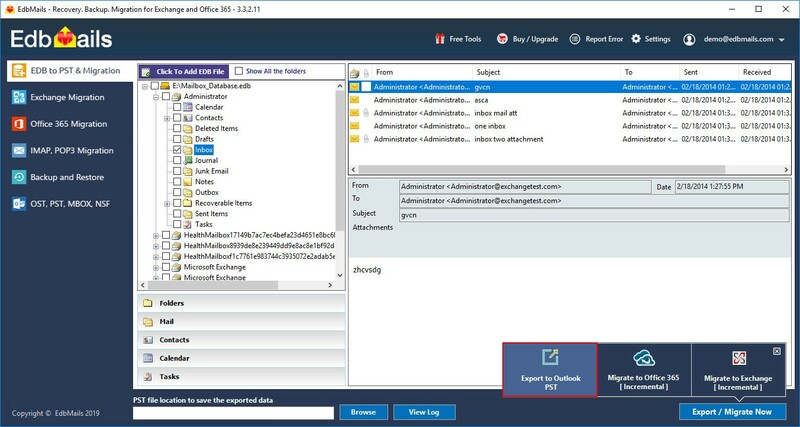 The EdbMails EDB to PST wizard provides extensive include/exclude filtering options to filter by subject, attachments, from/to address and date/time. With EdbMails, you can preview all mail items like Emails, Attachments, Notes, Calendar Entries, Contacts, and Sent Items and so on before saving them. This helps you decide what to export. Save mails to other formats. Apart from saving the recovered data as PST file, the tool additionally enables you to save the mails in MSG, EML and PST formats. Any IT administrator would appreciate such flexibility of choice. Wanting to migrate to Live exchange server ? 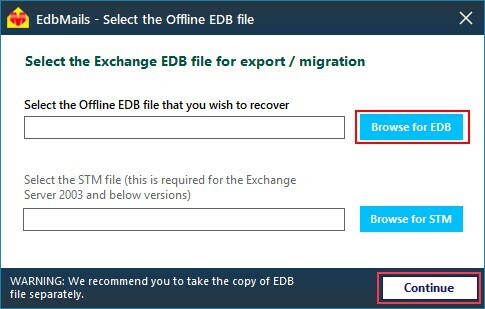 – EdbMails also supports direct EDB migration to on premises exchange server. Thus you can recover and repair EDB files as well as send the mailboxes over to live exchange server if need be. The EdbMails EDB to PST Converter has a wide range of include/exclude filtering options to filter by subject, attachments, from/to address and date/time. This helps you exactly what you need. After the corrupt mailbox (EDB file) is repaired, the Exchange recovery software empowers you to save the recovered file as Outlook PST file, which can be effortlessly imported into MS Outlook. All you need is a dismounted offline exchange database on a local drive or network to perform recovery. This means you don’t need the exchange service to be running or its log files. 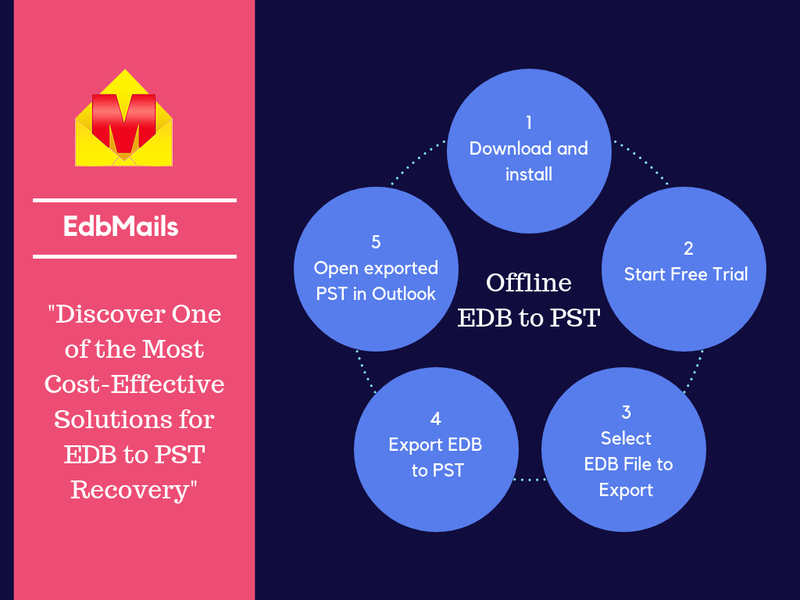 EdbMails EDB to PST Converter is an advanced tool to recover corrupted Exchange databases securely export them to Outlook PST. Using its deep scanning techniques EdbMails can recover any type of EDB corruption with ease. It also supports export to Live exchange server and Office 365. Repairs corrupted Exchange EDB files and saves them into Outlook PST. Exports recovered EDB files to a live Exchange Server and Office 365. Preview all EDB contents before export. Saves repaired files as MSG, ML, HTML, and RTF. Supports Microsoft Office versions 2016 2013, 2010 and 2007. Capable of recovering MS Exchange Server 2016/2013/2010/2007/2003 databases. The article is very interesting. Useful and educate me a lot. Thank you very much. Going through the Network+ course, I finally feel like I have a decent grasp on what “ports” are. Before I heard Anthony’s explanation, it was really just a word someone said and I couldn’t really reconcile how IP addresses and ports worked together.